ECR was created in 2005 by Environnement 2000 (a holding company made up of engineers) and Galloo Metal (an European leader in metal recycling). The shareholders, recognized worldwide for their technological skills and progress, have changed the world of recycling, as far as plastics, shredder residues and discarded consumer goods are concerned, by creating a real recycling industry for such plastics to be found in cars, electrical and electronic appliances as well as in household wastes. 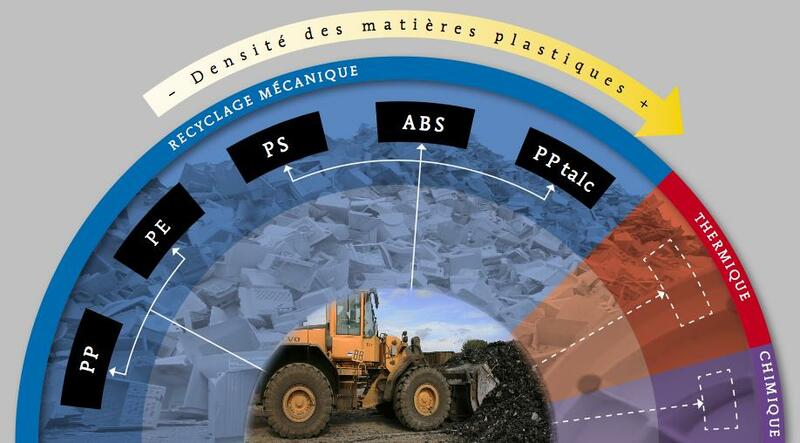 The factory of Galloo Plastics in Halluin (France) is a prototype for the industrialisation of the processes from schredder residues of consumer goods to recycled plastics granulates. These production processes and equipment are protected by a dozen of worldwide patents. Many projects have been developed within Europe as well as worldwide. They are technology transfers as well as joint ventures. ECR can propose know-how and technology to set up a production plant to convert shredder residues or other types of waste containing thermoplastic materials into a plastics-only concentration. ECR can set up turn-key factories for the further separation of the plastic materials into their individual components, as well as the further treatments such as compounding and granulation, resulting in pellets usable by car-industrie and other industrial sectors. With an experienced team, we are able to propose you personalised solutions for the mechanical and thermal valorisation of your plastic wastes, everywhere in the world. The experience of the engineering team in producing recycled plastic granules for the automotive industry since almost 20 years, guarantees the same skills for other fields of applications such as the agricultural, building or furniture industries and many more.